If you’ve ever experienced a night of tossing and turning when you’re trying to sleep, then this post is for you. 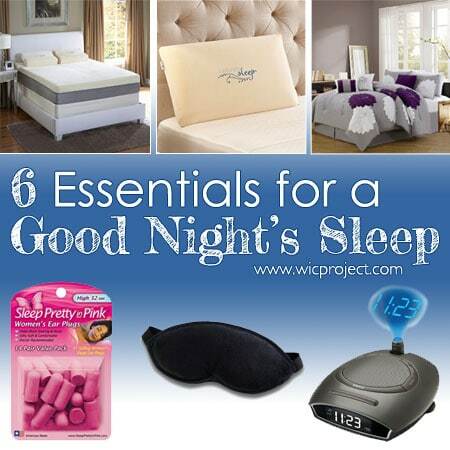 We’re here to talk about essential items to have in your “emergency sleep kit.” These are products – from small items to larger ones – that can help you fall asleep faster and can help you have a good night’s sleep. Having a good pillow is like finding the perfect shoe in your size. 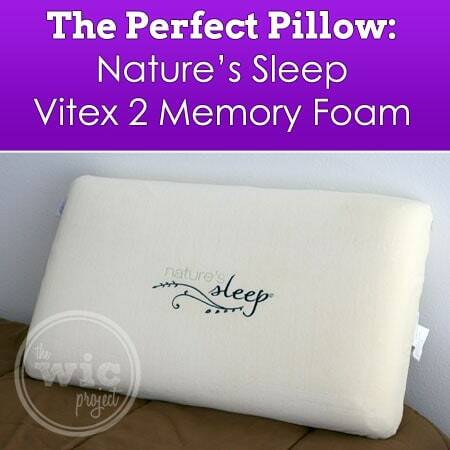 My perfect pillow was the Nature’s Sleep Vitex 2 Memory Foam pillow. Take note of how you usually wake up – are you a side sleeper? Do you sleep on your back? On your stomach? Choose a pillow that supports your head and neck and that’s designed for how you sleep. Some people have trouble sleeping even if there’s just a little bit of light. Achieve total darkness with a good sleep mask. Look for ones that have adjustable bands (so it isn’t too tight) and provide full coverage down to the nose so no light leaks in. Sleep masks are also useful if you need an afternoon nap. If you live in the city or have a lot of ambient noise (or even have a leaky faucet) while you’re trying to sleep, a set of earplugs can help provide the silence you may need to help you fall asleep. An alternative to ear plugs is to cancel out the noise with a sound machine. Sound machines allow you to choose a sound – from white noise to rain – that will help you fall asleep. I use a Homedics SoundSpa which is an alarm clock, radio, and sound machine all in one. A blanket that is too heavy or too light could prevent you from falling asleep by making you either too hot or too cool. You should have at least two comforters or blankets depending on the season – a heavier comforter for the cooler winters and a lighter blanket for the warmer summer nights. I saved this one for last, although it might be one of the most important ones. A mattress is literally the foundation to a good night’s sleep. 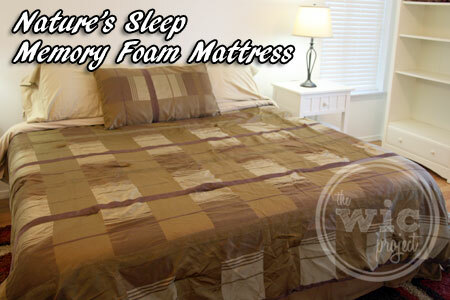 You want a mattress that provides support for your back and neck, otherwise you could wake up feeling sore. Without the proper support, you might find yourself tossing and turning a lot as you try to get comfortable. The memory foam mattresses from Nature’s Sleep provide the perfect amount of cushion and support whether you prefer a softer, pillow-top feel or a firmer level of support. If you’re interested in getting a better night’s sleep, I have a special deal for you! I’m excited to share an exclusive Nature’s Sleep promotion code that will save you 50% off the ENTIRE Nature’s Sleep product line, PLUS free shipping. To get a great deal on Nature’s Sleep memory foam pillows and memory foam mattresses, use code NSA50 to save 50% off the entire Nature’s Sleep site! What would you include in your “emergency sleep kit”? I agree with your list! My perfect sleeping environment is very dark, cool (even a little brisk), and with a small fan running beside my bed for some white noise. A good mattress is also a must. We really need to start thinking about replacing ours – it seems to sag and lean in places, LOL! Good sleep has eluded me for a while now so I appreciate this post!